Family law is quite complex. Whether it is a divorce, property dispute, or custody hearing, you require help of an experienced family attorney. His advice will prove to be an invaluable asset. These attorneys represent clients in court under various situations. Family law attorneys also draft varied legal documents, such as prenuptial agreements, parenting plans, contracts related to surrogacy, and much more. Ask relatives, colleagues, and friends for recommendations. The best way to get names of lawyers is personal referrals. Apart from these recommendations, you must also get reviews online, and speak to past clients of the attorney before making a decision. Another way to get the best referral is to get in touch with bar association of the state. Most of these associations run referral programs. All you need to do is look for referral programs for family attorney based on their areas of expertise. If you are in a state in which the bar association does not run these programs, look for other referral programs (county-wide). Have a look at websites of lawyers. A simple research online will let you get to some of these sites. If you are looking for a lawyer with common names, simply search the “the name of lawyer” and the term “lawyer” including the city or county he/she practices. Once you reach the site, assess the site for any kind of spelling errors, grammar mistakes etc. An attorney, who doesn’t care about presentation of his work, may be equally careless about representing clients in court. Additionally, you must check if the family lawyer has earned a ‘Martindale-Hubbell’ rating. Judges and lawyers will rate “AV” for the highest ethics/highest ability. Studies have revealed that only 10 per cent of American lawyers are given this rating. The idea is to know whether your attorney is reliable and capable of representing your case. A detailed research on his/her official website will help you get adequate information. You would definitely want to know about the experience and knowledge of the attorney who will represent your case. 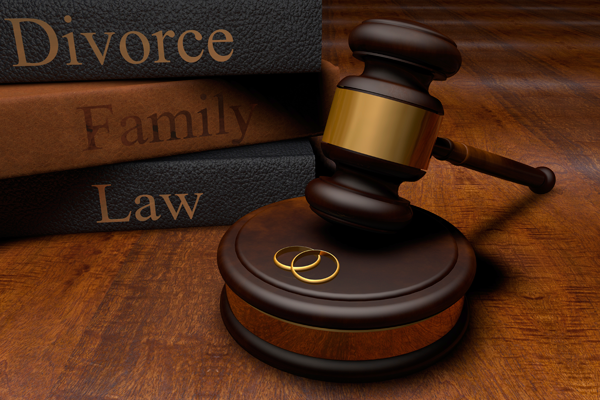 Since Family Law is a vast area, it is better to rely on an attorney who has specialized in matters of divorce, surrogacy contract, property matters etc. The best way to look at this is to visit website of each attorney and see if the family attorney has handled cases similar to yours in the past. Check the success rate. Some of the states allow certification in family law. An attorney must show a substantial portion of their practice in matters of family law. Additionally, many states require a family lawyer to get letters of recommendation from judges and other lawyers. They should also take up advanced legal education courses in their field. Also know the number of years the attorney has been in practice. Go for a lawyer with an experience of some significant years. This is important to make sure he/she can handle your case with confidence. Is the lawyer disciplined? A disciplinary commission investigates complaints related to ethics against lawyers. Each state has its own commission. The committee introduces enforcement of action against lawyer if the complaint lodged holds merit. The website of this commission must have a list of reprimands and various other disciplinary actions under a lawyer’s name. How did the staff treat you when you visited the office? The receptionist or front office exec will greet you. You will also come in contact with other people in attorney’s office such as clerks, paralegals etc. Don’t ignore any rude behavior, negligence, or absent-minded conduct. Everyone in the office should treat you courteously. If this is not the case, don’t go ahead. You should find a better option.